The Enna skyline was formerly the site of a road planned to connect the two neighbouring towns of Shiobara and Nasu. On setting foot on the road, its surroundings appear to spread out out before the eye in a stunning display of autumnal red and gold. The time to witness this spectacular phenomenon is from late October to early November, when the mountains take on a fairytale-esque scarlet backdrop for as far as the eye can see. 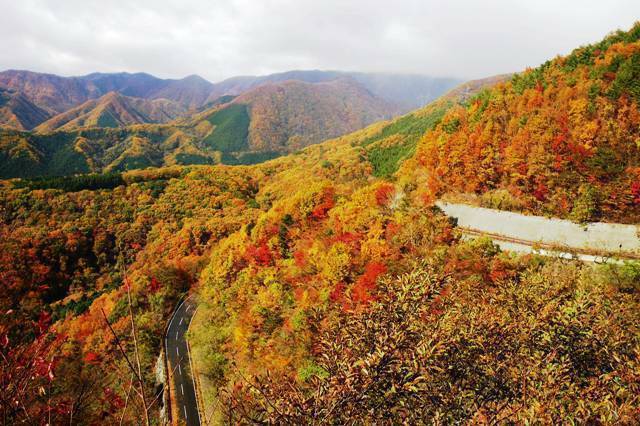 For anyone visiting Tochigi prefecture this autumn, this prime example of Shiobara’s magnificent natural beauty is not something to be missed.